Serve this Slow Cooker Lemon Garlic Chicken over egg noodles or mashed potatoes. Place chicken breasts into slow cooker. Cover with one cup of chicken stock. Add garlic, oregano, salt, pepper, and lemon juice. Add in the rind of the juiced lemons to add extra lemon flavor. Cook on low for 4-5 hours. Shred chicken, remove lemons, and serve with egg noodles, rice, or mashed potatoes. Garnish with chives, if desired. 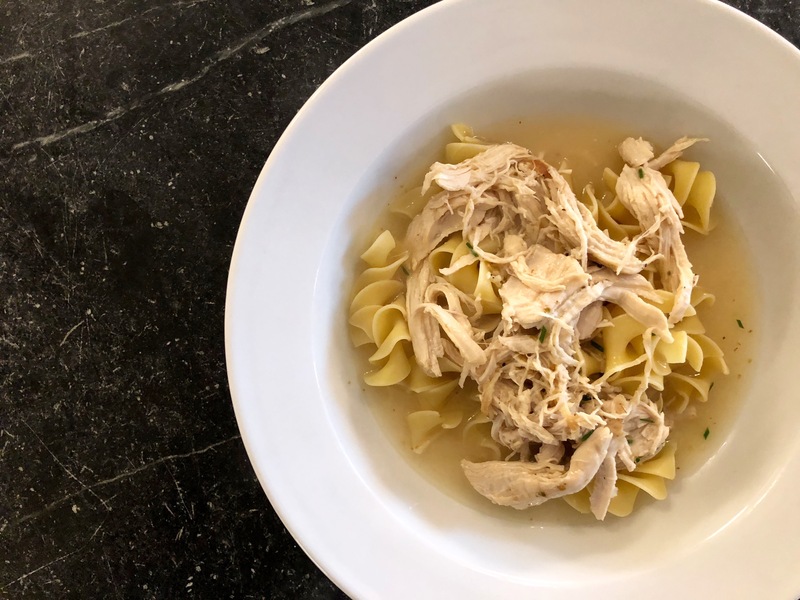 Copyright © 2018 Our Everyday Dinners - This is an easy recipe for how to make Slow Cooker Lemon Garlic Chicken.